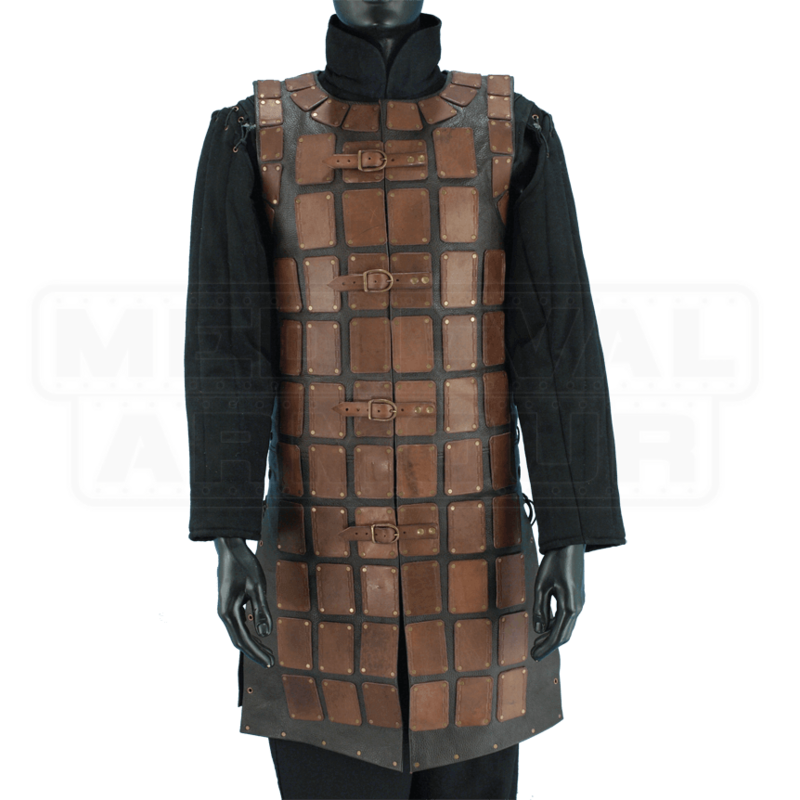 This Leather Brigandine is quite a piece of work. It has a soft, supple base of vegetable-tanned leather and is covered with medium weight leather plates. This brigandine is ideal for LARP. It is actually very form-fitting and extremely comfortable to wear. Due to the flexibility of this armour, it also fits women nicely. Sizing is easily adjusted with the four buckles on the front and lace up cording at the sides. Each leather plate has an embossed design along the edges for an extra touch. 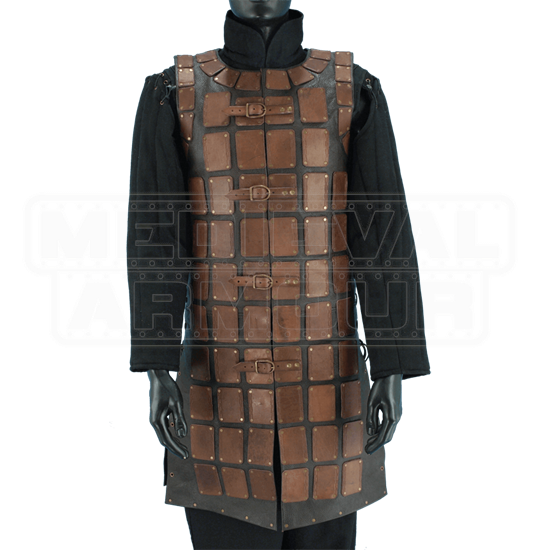 This armour is perfect for LARP, Theatrical productions, Costumes, and the SCA. Available in black or brown leather and two sizes. Sizing Note: If you will be wearing a gambeson, chainmail or anything else under this armour, it is best to take your measurement while wearing the items. For instance, if you have a 44 Inch chest and then you put your gambeson on, that will add quite a few Inches to your measurement.